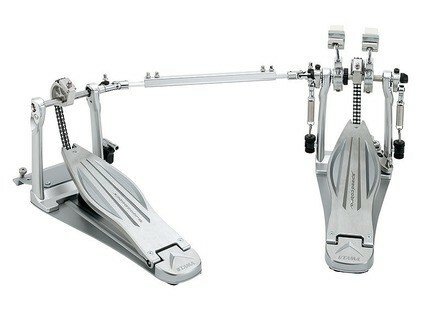 HP910LS, Double Bass Drum Pedal from Tama in the Speed Cobra series. drumster's review"Solid, high-value, quality drum pedal"
I'm a professional drummer and I've been an avid user of Tama drums and hardware for over a decade already. I like Tama's drum products because of its great value, high sound and aesthetic quality, and its legendary durability. I've owned and played different generations of Tama's Iron Cobra bass drum pedals. These "modern classic" pedals are the most reliable I've ever used, and they never broke down in the middle of a gig. I've tried and played different brands of drum pedals, but nothing came close to the solid feel, power and road-worthiness of the Iron Cobra. 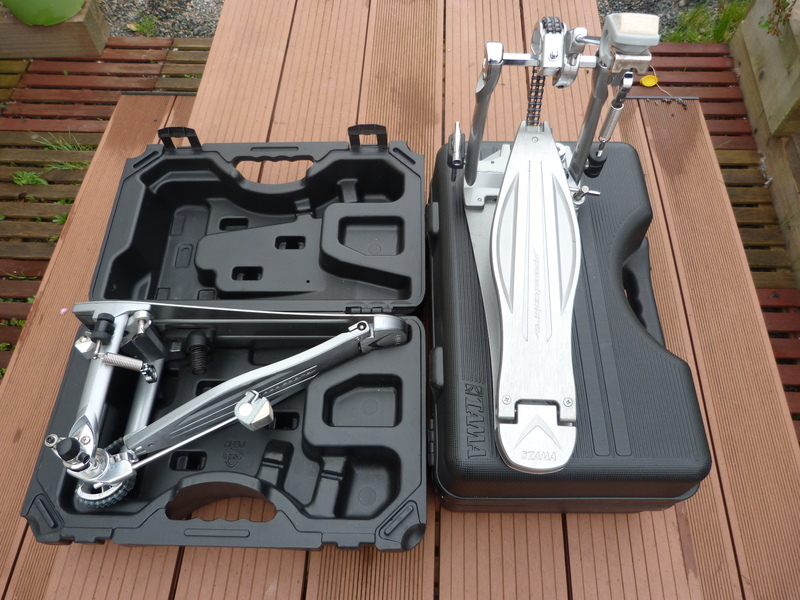 Recently, the Speed Cobra line of drum pedals was introduced. These are Tama's response to the current trend of high-end, "unconventional" drum pedals, which are becoming popular in the market today. The Speed Cobras are pretty much like the Iron Cobras, but with added advancements. The most obvious new feature is the longer footboard (a.k.a. longboards). Longboards have become a popular choice among drummers, especially with speed demons who enjoy playing fast, straight-ahead double bass grooves. And with the numerous foot techniques coming out in recent years (slide, heel-toe, swivel, etc), having a bass drum pedal with a longboard has its advantages for these different playing styles. I bought a Speed Cobra double pedal last year, and this is my first-ever set of longboard pedals. The first thing that impressed me the most is its price. Compared to its counterparts (Pearl Demon Drive, Axis Longboard, Trick Pro 1-V), the Speed Cobra's price is much closer to the Iron Cobra price range. This is amazing value for money for a drum pedal of its class. The next thing that impressed me is how well-built and well-machined it is. With the way it looks and feels, I can clearly say that this is built like a tank, just like its Iron Cobra siblings. I don't need to worry about this pedal breaking down during a gig. The Speed Cobra also has an elegant and understated look, which is something that I appreciate aesthetics-wise. The Speed Cobra pretty much has the same adjustable features as the Iron Cobras. Footboard and beater angles can be easily adjusted with an allen wrench or a Tama Drum Hammer too, which are both included in the package. Right out of the box, with its stock settings, I quickly felt the smoother and faster response of the Speed Cobra. I am amazed with how easier it felt to play and execute quick doubles and double bass licks. What made the difference? Is this the effect of the long footboard? Or the angled, recessed setting of the chain drive? Or the weight-reduced sprocket? Or the Cobra Coil underneath the footboard? Or a combination of all these features? Kudos to Tama's designers and engineers for doing a mighty fine job. It may sound too good to be true. But in my experience, it took me some time to adjust to the longboards and the new feel of the Speed Cobras. It must have been the many years of getting used to a conventional drum pedal. It took me a few weeks to get the hang of it. I'm not an advanced double bass player (I'm still working on my technique), but I guess it's case-to-case basis. Some drummers will love the feel of the Speed Cobras, and some will not. Just like most instruments, it's best to give it a test before deciding on purchasing it. I like the smooth, long footboard of the Speed Cobra, which I find suitable for my footwork style (I don't like my shoes to grip on the pedal; I prefer sliding and dancing over it). 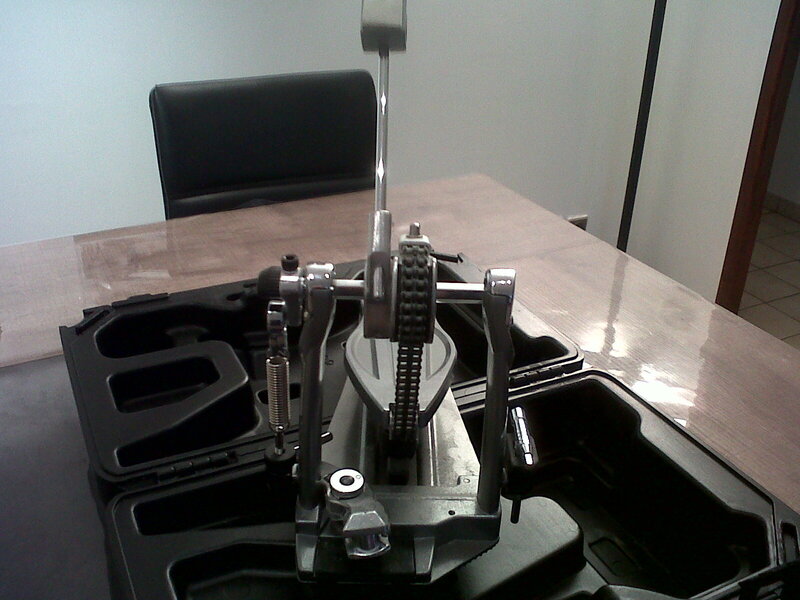 The slave pedal responds as well as the primary pedal, and I find it easy to adjust and match with the latter. After a few months of use, I realized two downsides. One, the felt of the stock Projector Beaters quickly wear out . I think Tama should come up with a much better-designed set of beaters that can take the power of the Speed Cobra. And two, I've read and heard about the springs of other Speed Cobra users snapping off. Fortunately, mine's still in good shape; but this is something to take note of. 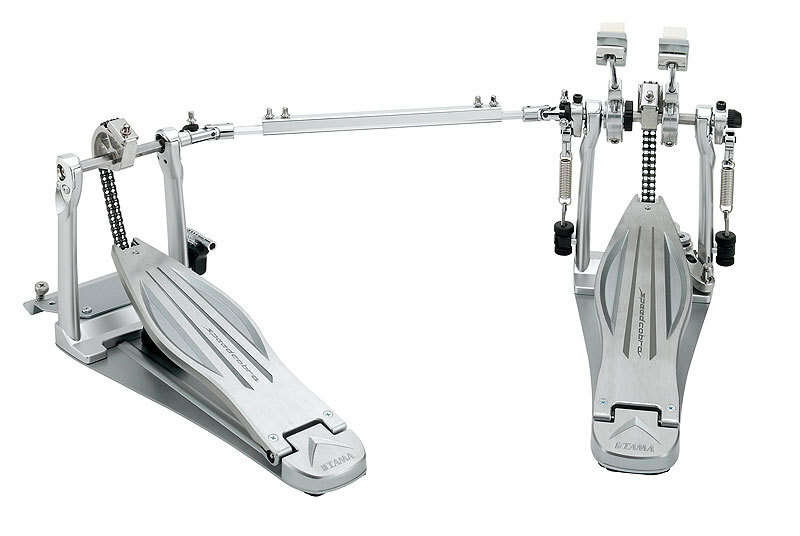 Overall, the Speed Cobra is testament to Tama's penchant of creating functional, well-built and durable drum pedals. 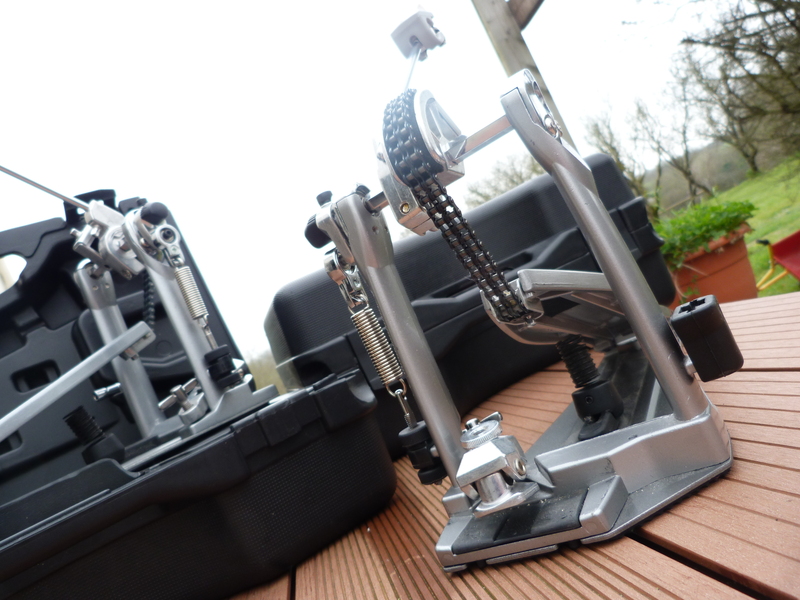 Just like its Iron Cobra siblings, these are solid, high-value, quality drum pedals. The new features took Tama's pedal technology levels up, helping us drummers enhance our playing. Despite a few minor cons, I think I'll be playing and keeping this pedal for a long period of time. Apolaurel's review (This content has been automatically translated from French)" Magic"
I use this double killing for three days, waiting to be filled to write a post but it's done. 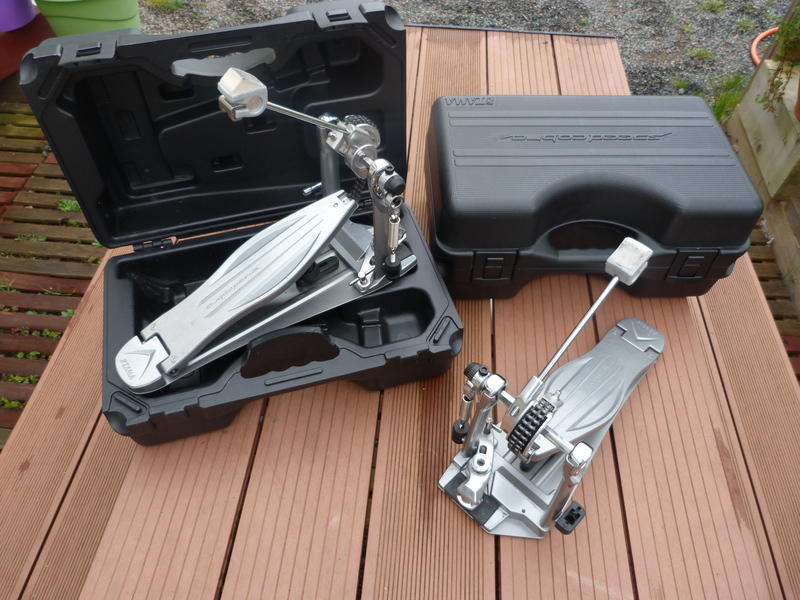 My old double pedal was a pretty basic Sonor single chain but very good quality for this price, even if I dropped, I do not speak ill.
At the store I first tried a Yamaha Direct Drive which was hung on the drumkit (I never had the idea to try it) that I quickly get to install the Tama Speedcobra (single ) but damn I liked that! I then ordered this gem at the store, I got within 6 days. Already, we are put in trust with the hard case, (I prefer it to cover my ex pedal) we feel we will not pay our head. Once assembled, it stinks solid, I immediately felt the difference in response and fluidity, it was huge! I then set my way, which is very easy thanks to the many possible settings, for example: the setting of the bat is independent of the bat! Anyway, you'll find it in settings. Once set pfouaaaah I almost choked me, who am not a killer bass drum (I do not exceed the 160) I was amazed by the speed of the machine, I easily surpassed my speed, it took me a few days of course, time to get used to but damn! I took a sacred mandala! Those who allow themselves to put a fifth in the notice because the bat was loose at the store and not especially work for Mapex to the point of feeling compelled to clarify and down all competitors Mapex in the notice ( I'm not targeting anyone) can say what they want, once set, this pedal is delusional! In addition, the long sole is really perfect for speed, while keeping a huge power. Speed ​​Cobra pedal that deserves its name! karmanu's review (This content has been automatically translated from French)" Do not buy! !" I do not speed cobra I was able to try before you buy the Mapex killings that are the falcon! ! ! Then the speed cobra there was a demo with a game less than 1 cm on the left and a bat in return for the same repair blem! ! Ouahh cool enough! ! And I'm going nuts tension springs plastic etc.. . And nothing extra pedals, not exceptional and distressing sensations unlike Mapex Falcon! ! I recommend not even especially not those damn pedals are Tama speed cobra! ! It goes without saying that I recommend! vduez's review (This content has been automatically translated from French)" Hallucinating"
I acquired this pedal (single version, I play mostly jazz) today. I was looking for a new pedal to replace mine, I bought a 6000 m2 store in Germany where a lot of pedals were in the test position on kick-pads, next to each other. Already there was something magical as this one, it's as if the weight of the pedal was gone. Even the old iron cobra and fabulous (as well as chain belt) did not measure up , any more than surcôtées dw. There must be a way to find a pedal with more power, but that's not what I want: here was a machine, or rather a tool to develop a nuanced playing of the bass drum. Came home with the beautiful briefcase, I install it .... Without any adjustment. Can not stop playing. I play at once altogether better?! It's like the kick of a sudden became plugged directly into the brain! All sixteenth notes ("Doudou" ") pass without forcing, where my old pedal was often the first on the floor ("... Dou"). We play a long time: the foot is as flat as you get tired less, and the bearings must also be for sth. We play better, the pedal really allows a range of dynamics. The more improbable: the kick drum sounds better too, and it's really objective! And finally, power level, when you want to hit harder the reserve is there! In conclusion, frankly, I find the price for this marvel of engineering very honest. And if you are considering buying a new good pedal board try it before you waste your money! On top of that it is very slight, is significant when tjs must carry the hardware, and the case comes guarantees that you will be able to pass on to your descendants after you have arthritis too, with that it is immune to the ravages of time.